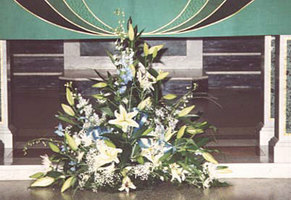 Jayesh Florist Offering Wedding flowers, Funeral Flowers, Plus Many More Flower Delivery Services throughout Willesden London And Across The Uk. Jayesh Florist is a family run business which is service driven and successful only because of the commitment of all the members. Jayesh Florist is also a member of the Tele-florist Association together providing a Local, National and Worldwide flower delivery service. Jayesh Florist also has it's own flower delivery vehicles which covers all local areas. Jayesh Florist provides flowers for every occasion whether it`s wedding flowers, Funeral Flowers or any other flower arrangement. 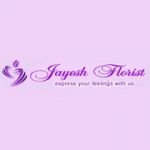 Jayesh Florist have over 21 years experience in providing you the best In Quality, Service and Value For Money. Jayesh Florist have a wide range of collectors Teddies SoftToys, (TY Bears and Russ Berrie) Helium Balloons, Belgium Chocolates, Gift Packs and Fruit Baskets to Complement your Flowers.